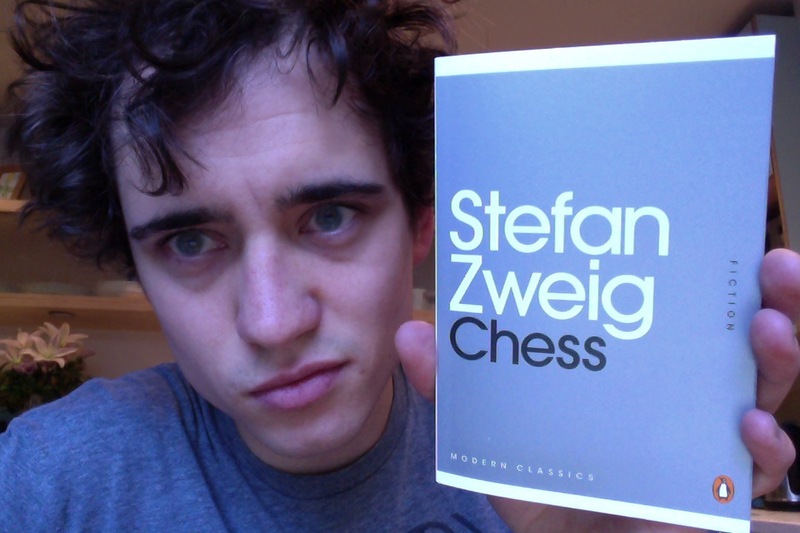 Chess is an excellent little novella written by Stefan Zweig in the early 1940s. An Austrian who’d run from the Nazis to England, New York and then Brazil, the narrative of this fiction reflects his international life. The narrator (who we learn very little about) is an Austrian travelling from the USA to Argentina on a big boat. On board is the world chess grandmaster – a non-intellectual Eastern European orphan who has rapidly risen through the ranks but is unable to play games of chess from memory. A wealthy industrialist pays the champion to play him and all other chess-fans on the ship, and the game is swiftly lost. The rico demands a rematch, but as the game is nearing its final stages, a strange man wanders over and teases out a draw through incredible knowledge of historic chess games. The stranger (also an Austrian) runs away as the game ends, but the industrialist offers to pay, again, for the champion to play this expert the following day. The narrator goes off to find his fellow Austrian and then learns where all this chess knowledge originated. The novella is all about methods of thought, about different types of skill, about psychological torture and the need for human contact, about the damaging effects of solitary confinement and, also, obsessions. It’s very forgiving of avarice and the spending of money, and is very damning of totalitarianism. It’s exciting (the flashback of the central character and, also, the chess games that bookend his personal narrative), it’s short, it takes under an hour to read and it’s pretty bloody evocative of a time and a place and the reasons why so many people were running away from Europe in the 1940s.